The reforms focus on maximising land use, strengthening protection for Green Belt land and putting more emphasis on turning planning permissions into actual homes. The government says it has delivered more than a million homes to the UK since 2010. More than 217,000 were delivered in 2017, which was the largest increase in housing supply for almost ten years. Despite this, they acknowledge that more must be done to deliver the 300,000 homes per year that will be needed by the mid-2020s. Measures include fast tracking planning permissions into homes for the first-time buyers currently priced out of the housing market. Much more must be done for the older generation to provide the appropriate types of homes. The changes aim to give a more comprehensive approach for developers, planners and councils to work together to build more homes more quickly, more efficiently and in the right places. Developers and councils will work with community groups to make sure that people affected by the developments have a say on the aesthetic and environmental impact of developments. We welcome this at Fortitudo Property, as it’s long been part of our own ethos. We believe in creating opportunities that people will love, and we inspect the proposed land, the surrounding area and the community within it. This way we can unlock consumer trends and create what people really want. 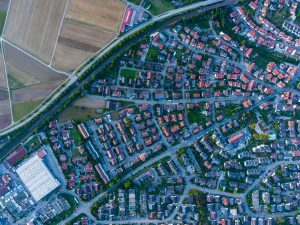 There will be a new housing delivery test for local authorities to drive up the number of homes physically delivered rather than just talked about. Developers will be more accountable for delivering their commitments, including the infrastructure needed to support new communities and affordable housing. Local authorities will have more freedom to make best use of brownfield land to build as many houses as possible. Under-used retail or industrial spaces will be earmarked for housing development, with more flexibility surrounding the ability to extend upwards on blocks of flats, houses, shops and offices. Developments must result in a net gain for the environment when possible and more protection will go to ancient woodland to preserve them for future generations. There will be more of a concerted effort to deliver affordable homes that meet the needs of all kinds of people, whether they are first-time buyers, build-to-rent homes, affordable homes for key workers or adapted homes for older people or people with specialist needs. New quality standards will be introduced to ensure that homes are well designed and built in places people will be proud to live. Local authorities will be encouraged to work together to close the gap between granting planning permissions and homes being built. A new standardised approach to properly assessing housing needs will be implemented, and developer contributions will be clearer. This planning reform package is part of a raft of changes, which come after the announcement on the Housing Infrastructure Fund that will spend £5 billion on unlocking new homes in areas of greatest need. Local infrastructure funding from the government totals £866 million so far for everything from flood defences to new roads and cycle paths. Since the announcement, there has been some kick back from some of the country’s largest builders and councils. The Homebuilders’ Federation, the Town and Country Planning Association and county Councils Network are just some of the groups that have written to Mr Javid saying that there is “not enough reason for planning authorities in particular to co-operate [with county councils that control infrastructure], and often strong reasons not to”. They say that government must give more power to county councils to ensure that the areas have the infrastructure to deal with the scale of new developments. This entry was posted in Housing Politics, Residential and tagged Government, Housing Politics, National Planning Policy Framework, Property, Residential Development, UK Government by Richard Carr. Bookmark the permalink.